If your future includes a move to this beautiful city, check out Meathead Movers! Our professionally trained student-athlete Claremont movers, moving concierge, and Princess Packers are prepared to get you safely moved into your new Claremont home. If you are moving to Claremont to seek employment or to enjoy a new style of life, be sure to check out the services of our top-rated Claremont movers from Meathead Movers. Claremont is a wonderful city to live and work in. In fact, CNN/Money magazine rated it as the fifth-best place to live in 2007. The city is largely residential, but the city is filled with small and unique stores, dining options, art galleries, boutiques, and educational institutions. The city has a long-standing tree-planting tradition that has made it one of the most beautiful cities in the country. Located just 30 miles east of Los Angeles, this small town is scattered with beautiful park spaces and homes. On top of being a beautiful city to raise a family in, it also attracts some of the brightest minds in the country with its highly-acclaimed Claremont Colleges. 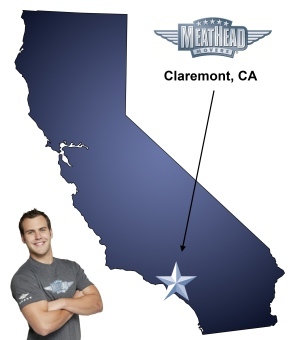 If you are considering a move to Claremont, Meathead Movers is here to help! Meathead Movers is the top moving company in California for long-distance, commercial, and local moves. Unlike other movers, we offer fixed pricing plans for long-distance moves and a 100% satisfaction guarantee. One of the Meathead Differences is the type of people we hire. We know that it takes a lot of trust to let someone else handle your things. That’s why we make sure to hire only the best and most respectable clean-cut student-athletes. None of our movers do drugs or smoke, and you’ll never be able to call our movers lazy either! Our Meatheads will jog whenever they’re not carrying any of your items, saving you valuable time and money. We offer fixed pricing plans for long-distance moves, so there’s no excuse for our movers to loaf around. At Meathead Movers, we offer so much more than standard local, long-distance, and commercial moving services. We also offer item and furniture storage, moving support, packing services through our sister company, Princess Packers and a help line seven days a week. Our distinctive—and free—moving concierge service can help connect you with the service providers you need. If you need a house cleaner, carpet cleaner, babysitter, landscaper, junk hauler or anything else, just let us know and we’ll get you in touch with someone who can help. We’re Meathead Movers and our Claremont movers will make moving to Claremont easy. Give us a call to learn even more about what makes us special compared to other movers. We’ll even give you a free no-obligation moving quote. Moving to Claremont? Here are some helpful resources. 212 South Indian Hill Blvd. Gentlemen! Clean and nice. Worked quickly and did a great job! On time, courteous, friendly, strong(! ), protective wrap on furniture.